Business processes are recognized by organizations as one of the most important intangible assets, since they let organizations improve their competitiveness. Business processes are supported by enterprise information systems, which can evolve over time and embed particular business rules that are not present anywhere else. Thus, there are many organizations with inaccurate business processes, which prevent the modernization of enterprise information systems in line with the business processes that they support. Therefore, business process mining techniques are often used to retrieve reliable business processes from the event logs recorded during the execution of enterprise systems. Unfortunately, such event logs are represented with purpose-specific notations such as Mining XML and still don’t apply the recent software modernization standard: ISO 19506 (KDM, Knowledge Discovery Metamodel). This paper presents an exogenous model transformation between these two notations. The main advantage is that process mining techniques can be effectively reused within software modernization projects according to the standard notation. This paper is particularly focused on the empirical evaluation of this transformation by simulating different kinds of business process models and several event logs with different sizes and configurations from such models. 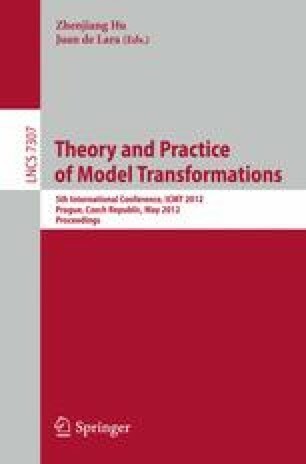 After analyzing all the model transformation executions, the study demonstrates that the transformation can provide suitable KDM models in a linear time in accordance with the size of the input models.